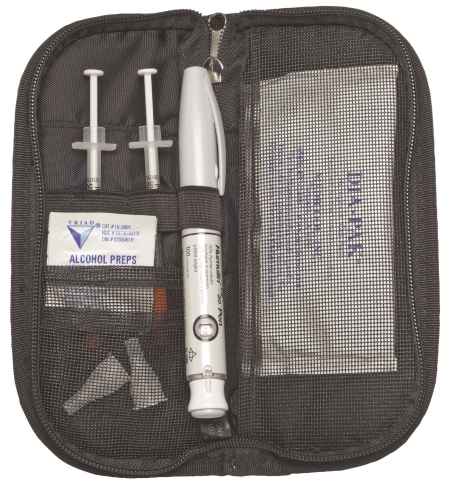 DayMate diabetic supply Organizer is the most convenient way to carry your insulin pin system or pre-drawn syringes. The black compact zippered insulated water-resistant nylon carrying case has a refreezable cold gel pack to cool insulin. The DayMate easily fits on a belt loop, in a purse, or briefcase. Folded size: 3" X 8"X 1".